Victory Dental is proud to offer Boost Teeth Whitening and many other cosmetic and restorative dental services to help create beautiful smiles. Whether you are looking for a dentist to create that perfect smile, or just want your teeth a few shades whiter, Dr. David Ripplinger at Victory Dental is the dentist for you. Call 208-402-1040 or Contact Us Online! This treatment is done in the dental office and you will see results immediately, usually brightening a smile six shades. It may require more than one visit, with each visit lasting 30 to 60 minutes. 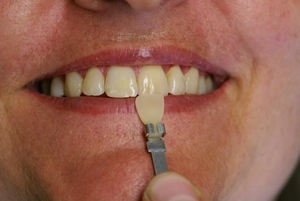 While your gums are protected, a bleaching solution is applied to the teeth. 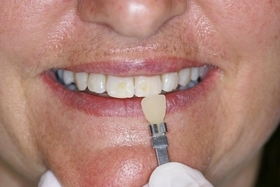 A special light may be used to enhance the action of the agent while the teeth are whitened. View these informational videos to learn more about Professional In Office Teeth Whitening and At Home Teeth Whitening.